After an abundance of EPs and expired promises, Teedra Moses might make that 11-year gap between Complex Simplicity disappear with the quickness when she releases Cognac & Conversation later this summer. Yep, the Internet grapevine has come through to tell no lies that Moses is indeed making a full-length sophomore album a reality. Woot, woot! She has already gotten ball rolling with the 2014 drops of the California Vibes EP and the Camp Lo-sampled, "All I Ever Wanted", and now the Young Lioness is following-up with the twilight lament,"Get It Right". Sounding weary, but still hanging tough, Moses yearns over a subtle nocturnal piano-led beat as she sits down with her lover to lay down the law on what it takes to be her only one. To enter her queendom you've got to be "a king, not a boss", and she'd rather "ride shotgun in an old school with a cool dude" than be around a "rich dude acting badly". She is direct and firm as she counts off on her hand that she doesn't want heartbreaks, tears, and late nights with her being all alone and waiting around --- she wants exclusivity and zero bullsh*t, and she wants it now. If I was Moses, I wouldn't even attempt (trying to change anybody to your perfect ideal is just asking for trouble...), but the Miami-based songbird is up for the challenge and she takes it on in stride as the beat bobs along, going from slow-burning ballad to an R&B sway that feels like the Teedra Moses who just wanted to be someone's girl many moons ago. 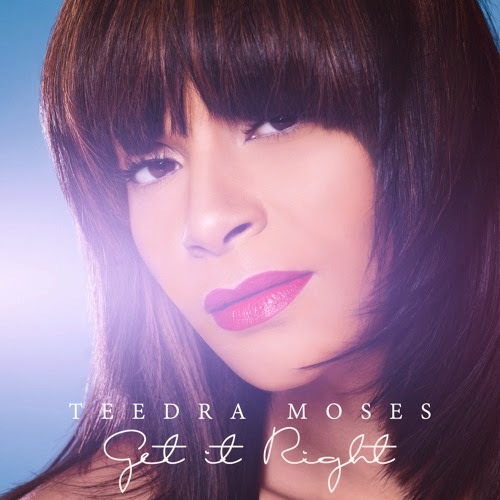 I always tell people that Teedra Moses' music is for the lovelorn hopeless romantics who just can't catch a break for sh*t. So if you're happy-happy-joy-joy, then get the funk outta my face and allow me to sip my midnight snack of wine and get teary-eyed in peace as my girl Teedra drops the truth tea on love and relationships.